Last September, amidst a still-fresh heartbreak, I found plane tickets for a steal: $569 USD roundtrip to Copenhagen for the following May. In the midst of this quarter-century life crisis (perfectly timed, as I’d just turned 25), I felt like this was the perfect opportunity to take a chance. I also have always dreamed of traveling internationally. So, a group of close friends and I booked those awesome tickets abroad. After the purchase, I quickly realized that we had chosen a destination well known for how expensive it is for travelers. That was, arguably, my primary mistake. Outside of that fact, though, I thought I was pretty prepared to make this adventure as cheap and affordable as possible. I’ve been a longtime TFD follower and have spent a significant amount of time researching all the hacks and budgeting tips that travel guru’s had uncovered before me. However, the amount of money I spent on my first trip abroad is both embarrassing and really good motivation to do better the next time my passport comes out to play. 1. Communicate with yourself and the people that you’re traveling with. At the start, I was sure to tell my friends that I wanted a budget-friendly Copenhagen experience. I insisted that our hostels and Airbnb have kitchen access so that I could make cheap meals at our home base, and therefore spend less on food out and about — or so I thought. When it came right down to the moment, I didn’t remind them or myself about the actual financial importance of following through. I made excuses to myself, and it just seemed easier to eat out at those lovely restaurants with the rest of the group. The only time we stepped inside a grocery store at all was to purchase souvenir Danish candy that eventually just melted in my cupboard. While I had known going into it that the rest of my group weren’t concerned by excess spending, I allowed their blasé attitude towards finances to trickle into how I handled my own. Make sure to follow through with your travel intentions. Just shy of two weeks of eating out in Europe cost me what an entire month of groceries normally would. Ouch. 2. There is some fault in too much planning. I must confess that I love planning, and while almost everyone warned me that I was overdoing it here, I just didn’t listen. 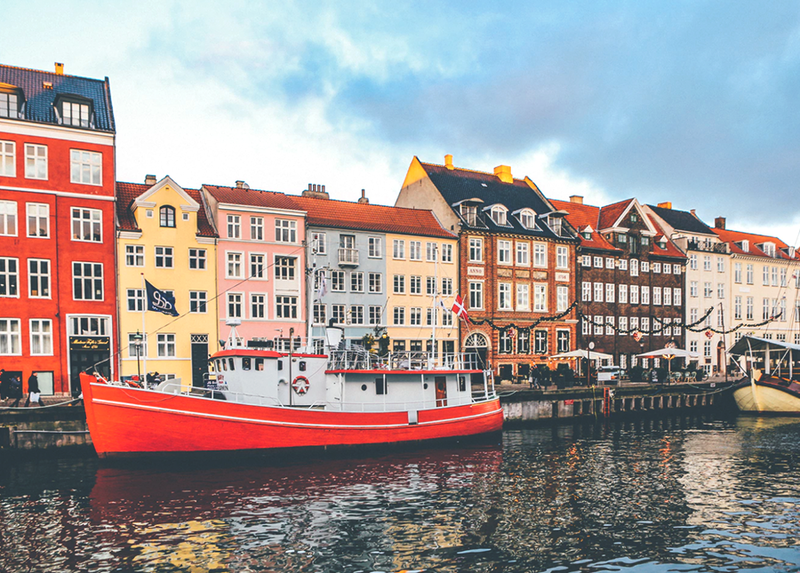 Like many European cities, Copenhagen offers a city pass where you pay a flat fee for access to tourist destinations and local transportation, along with select discounts. I thought this was awesome, so I preemptively purchased a card for the longest time available (120 hours, or 5 days.) However, after the trip was all said and done, almost $50 USD of value was unused. And the group never stepped on a bus, despite public transportation being included on our card. Instead, we opted to use public city bikes most days; they cost us about $5 USD every half hour, which definitely added up by the end of the trip. Needless to say, my overeagerness for planning came at an unfortunate cost. 3. Understand your travel goals. Now, I haven’t been completely honest with you, dear audience: I had originally found tickets to Oslo, Norway for the same price as those tickets to Copenhagen. It was only when I posed the idea of going on an international trip to my friends that I decided to go to Denmark. Because of my intense desire to see Norway, I actually ended up tacking on five additional days to the trip so I could fly out to see the fjords solo. This separate endeavor became its own chunk of change, between the Airbnb, the rental car, and food. Again, inadvertently, I submitted to the will of the social group over my own desires, and I spent a great deal of money to reach my own travel goals in the process. If I had just been mindful and verbal about what I wanted to accomplish in my travels, I could have saved a lot of money in the process. 4. There will be surprises. I’m an outdoors gal through and through, and one of my days in Norway was spent hiking that Instagram-famous Trolltunga hike, a grueling 14 miles out and back. However, when I drove my little rental car up to that parking lot, I had to shell out a hefty fee for parking. Now, I’ve spent time in National Parks and different wilderness areas in the U.S., but I have never spent so much money to brutally beat my body up a mountain slope, folks. A heads up to all future Trolltunga hikers: they charge some $62 USD per car. You’ve been warned. Now, I’m not a person who spends too much time on regret. My first international trip was spectacular, and I’m so grateful to have had the opportunity to form those experiences with some of my favorite people. However, I’ve paid the price for these lessons (and am still paying off some of them on my credit card!). It’s not enough to do your research on cheap travel — you have to be the cheap traveler. Jamie C. is a longtime TFD follower, who enjoys hiking, rock climbing, and spoiling her cat. She is still learning how to take her own financial advice.